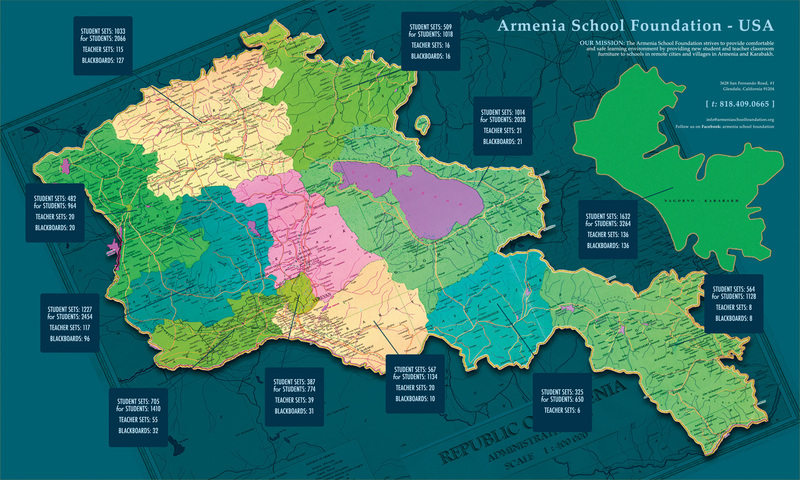 Armenia School Foundation (ASF) was founded as a non-profit and non-sectarian organization with the main objective that all children in Armenia and Artsakh ought to have a safe and supportive learning environment. 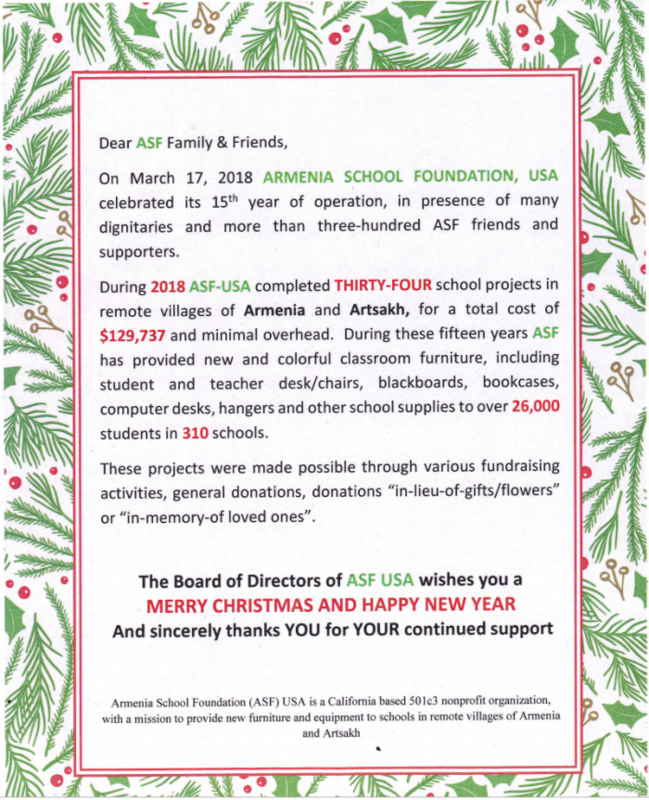 Since its inception in May 2003, in Glendale, California, ASF has been working tirelessly and in full capacity worldwide to meet their goal by providing new furniture to schools in Armenia and Artsakh. 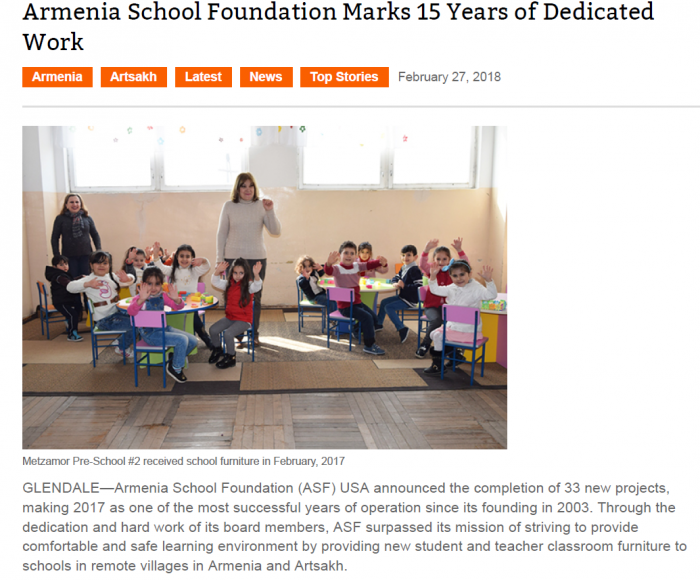 Founded on the notion that all children of Armenia and Artsakh will be able to reach their greatest potential through education, ASF has been a forerunner in sponsoring schools in remote villages of Armenia and Artsakh with new furniture with the sole purpose of enhancing and supporting their learning environment. 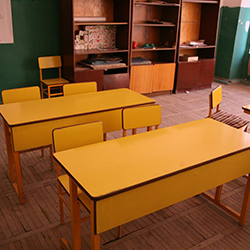 Help us reach our goals of furnishing schools by making a donation to Armenia School Foundation. 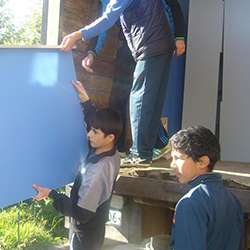 Armenia School Foundation sponsors events to help raise funds to furnish schools throughout Armenia and Artsakh. 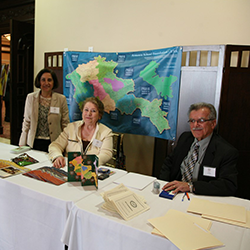 Read more about our history and mission in Armenia and Artsakh and about our Board of Directors. 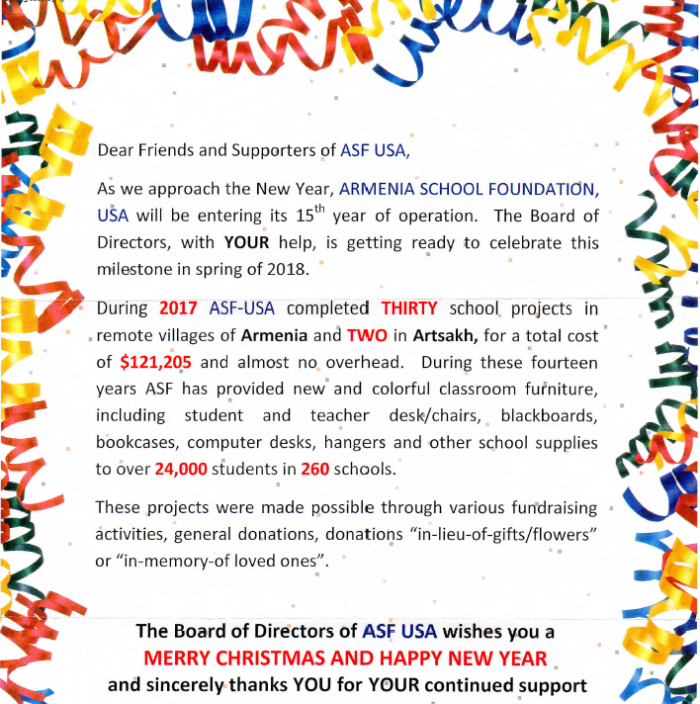 Get in touch with Armenia School Foundation with any questions or ideas that will help us reach our goals. The ASF Board of Directors has approached community members, corporations, and businesses for their support and has received overwhelming response. There have also been continuous fundraising activities since its inception. 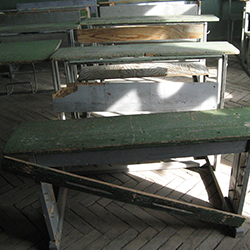 Thus far, with the strong support of the community close to 280 schools in all regions of Armenia and Artsakh have received over 25,000 sets of brand new and high-quality student desks and chairs. We are a community-based organization. While we take immense pride in having achieved this number, we realize the road ahead leads far. We rely on the support of the public to assist us in refurnishing the remaining schools in Armenia and Artsakh.